To submit news articles contact Infodir_SIGSAM@acm.org. 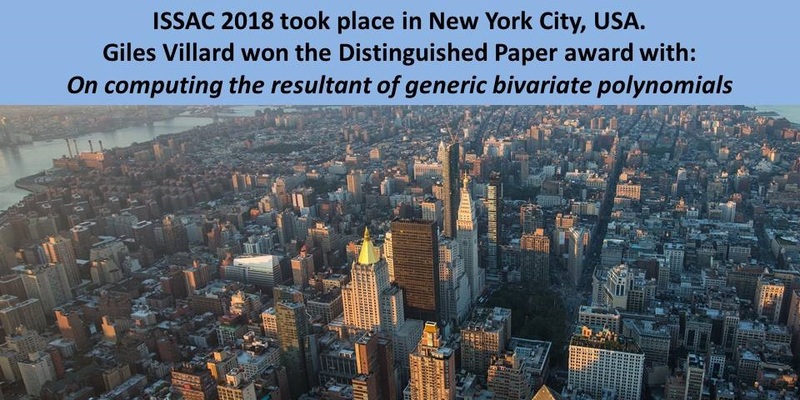 The Richard D. Jenks Memorial Prize is awarded for Excellence in Software Engineering applied to Computer Algebra. The 2019 Call for Nominations has been made. 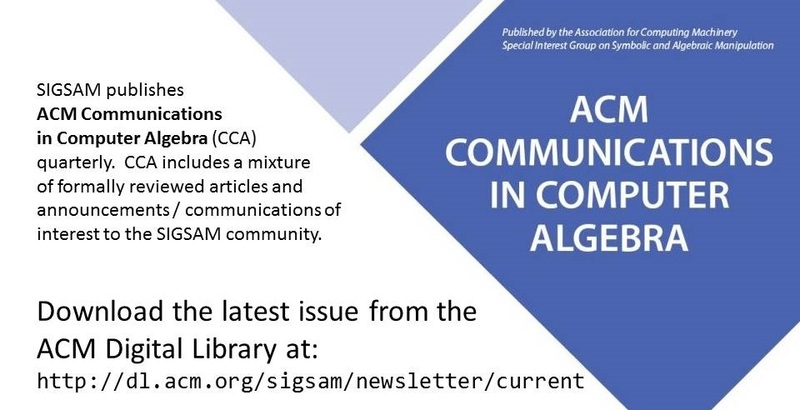 Issue 205 (Vol 52:3) of ACM Communications in Computer Algebra has been published and is available to SIGSAM members here. ISSAC 2018 is taking place. The official proceedings are available to SIGSAM members in the ACM Digital Library here. To have your conference promoted by SIGSAM contact Infodir_SIGSAM@acm.org. SIGSAM members benefit from access to the ACM Digital Library. The Association for computing machinery (ACM) is the world's largest educational and scientific computing society. SIGSAM is the ACM Special Interest Group in Symbolic and Algebraic Manipulation. We are an international organization dedicated to supporting and promoting research in computer algebra, symbolic computation and its applications. SIGSAM is now on Twitter as @acm_sigsam!